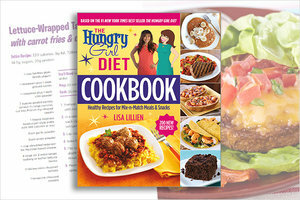 200 All-New Recipes for the Hungry Girl Diet! In the #1 New York Times bestseller The Hungry Girl Diet, Lisa Lillien served up the first-ever diet plan utilizing the beloved Hungry Girl philosophy and recipe concepts. Now she's back with a companion cookbook, featuring 200 brand-new recipes that work with the groundbreaking diet plan! With an emphasis on lean protein, fresh fruits 'n veggies, big portions, and craving-busting dishes, this book gives you everything you love about Hungry Girl in a weight-loss centric cookbook. Losing weight has never been easier... or more delicious!